Now is the time to pinpoint what types of niches you should target when you open up your personal training company. Don’t let the word “niche” alarm you. It is just a fancy business word that means to pick one thing and make it yours. However, if you are going to open your business, you should have a firm understanding of what the word means. 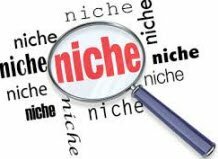 Basically, a niche is something that you specialize in. For example, a personal training market niche is the group of clients that need your specialized personal training services. Why Do They Possibly Need Your Services? The average person does not know that they are a part of a specific market. For instance, say that Mary is 65 years old and wants to hire a personal trainer. She is assigned a personal trainer by her gym. Although she uses this trainer, she is not aware that she is considered to be a part of a special needs market due to the fact that she is a senior. She doesn't even know that there are trainers that specialize in training people like her. Mary is an active senior and wants a personal trainer. She saw a flyer advertising the services of a personal trainer who works specifically with older women. She called the trainer in the ad and is now one of his clients. She got plenty of good tips and was the recipient of a personalized exercising program. She managed to bond with some of the other clients and started a group of women that walk and exercise with one another beyond the regular training sessions. Get your FREE Personal Trainer Starter Kit by subscribing to our weekly newsletter. You can unsubscribe at any time. and keep your info secure. This might not seem correct thing to do, but if you focus on the little niches in the very beginning, your business will experience growth quicker. Using the above example, which trainer do you think Mary will tell her friends and family about? She will probably talk about the personal trainer that currently gives her personalized training that suits her specific needs. Exactly who are Mary’s friends? Chances are they too are elderly women with special needs. This is the personal trainer niche that you are looking for. Should you Target All Markets? People want personalized programs. When it comes to personal training there is no such thing as one program that will work for everybody. When you try to please everyone, chances are everyone will be dissatisfied with your services. This does not mean that you cannot practice numerous specialties. Just stay within two basic areas. 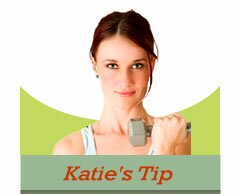 As you are working on your personal trainer niche, try to also recruit other healthy adults as well. What are Some Good Personal Training Target Markets? This is an obvious niche market because athletes have to use personal trainers as a way to build up their strength, while decrease their risk for injury. You can take this even further and specialize in personal training for specific types of athletes. You could specialize and work with football players only, or maybe basketball players. There are numerous sport niches that you could target. Yes, many of these sports have coaches, but a coach and a personal trainer are not the same thing. However, don’t discount coaches altogether because they can provide client referrals. Adults and children train differently. Since their bodies have not finished growing as of yet, children are a great niche market that you could specialize in. Since more and more kids are becoming overweight, this is a market that has great growth potential. The elderly have special needs that must be met. They experience body changes that could leave them open to injuries. As a result, you must constantly change their personal training program so that they change with their specific needs. Since the senior citizen population is constantly on the rise because of Baby Boomers, this is a growing personal trainer niche market. Many women like to work out right up until the time that they give birth. Seeing a very pregnant woman in the gym is not a rarity these days. Pregnant women normally are not very confident about their bodies. Hiring a personal trainer is a wonderful way for pregnant women to remain healthy and make the body more flexible for childbirth. Most of these women will continue to use personal trainers after the birth as well. Although there are plenty of special needs groups to target, make sure that you also cater to adults who do not have special needs. This is a great personal trainer niche to target when you are first starting out because you don’t have to specialize and cater to any special needs. But, then again, healthy adults might like things like Pilates or Fitness Boxing. These are also specialities that you might want to try. If you plan to target one of these personal trainer niche markets, you should consider additional advanced certifications after you have earned your CPT. The specialty certifications are much more focused and tend to be more practical in nature. Share your Niche Market Experience! Share your best tip or ask a question about servicing special needs clients. To learn more about finding a profitable niche market, read our reader comments below. What Specialty personal trainer certification is best for the aging population? Can a personal tainer also teach group exercise classes such as sculpting, step , etc?